Polishing department is equipped with all necessary tools and skills to polish your core and cavities to a mirror finish if needed. Our polishing time is cut in half by using state of the art equipment and highly skilled polishing team. 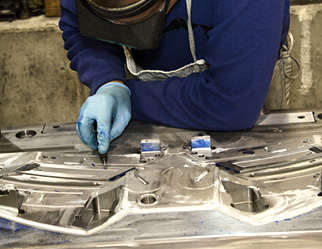 From ultrasonic polishing equipment to hand work and paper finish we do it all.